Now this is the review you've all been waiting for!!! 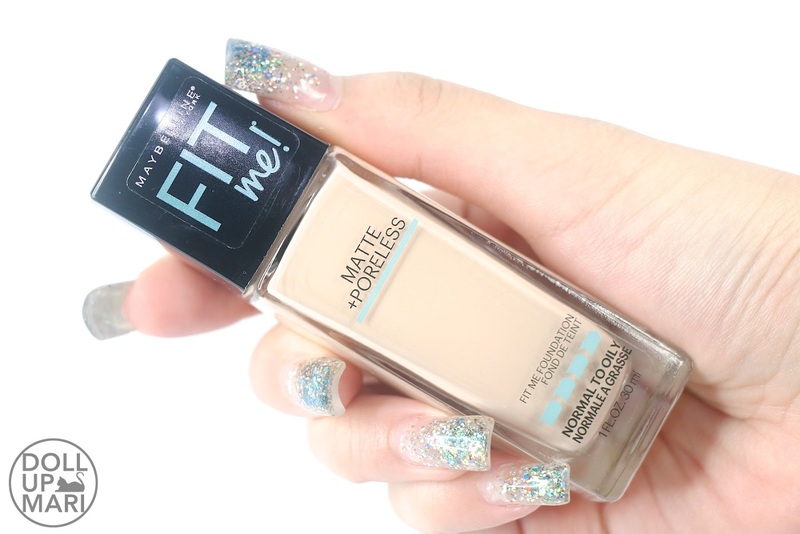 2017 has been a favorable year for the foundation landscape in the Philippines with the arrival of L'Oréal Infallible Pro Matte and now Maybelline FitMe! 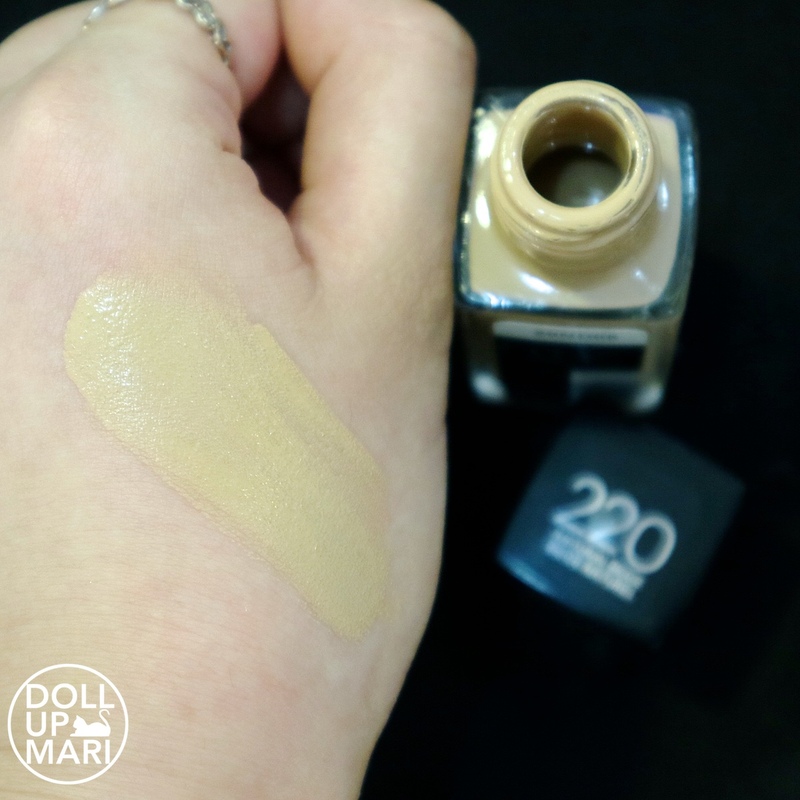 Matte+Poreless foundation. I know, I know, all of our dreams are coming true one by one!!! This, to give a general landscape, is perhaps the most "balanced" foundation for the Philippines. I thought of many words to sum up this product, and I think that balanced is the best way to describe it. I'll of course elaborate further, but I think to give a "teaser", this is ideal for most people because while this may not get 100/100 from everyone, this will make it to at least 85/100 on most people's lists because it's the perfect balance of everything that people in the Philippines are looking for in a foundation. This is the exact same thing as what they have in the US, so if you've been slaving over buying this product online, your dreadful days are over! My shade that I used here is 112, which I ordered online. Since the Philippine release is the same as the US one, I thought that my feedback over 112 should hold ground. I have been using my 112 since late last year so I think (I think!) I have a well rounded opinion on it. 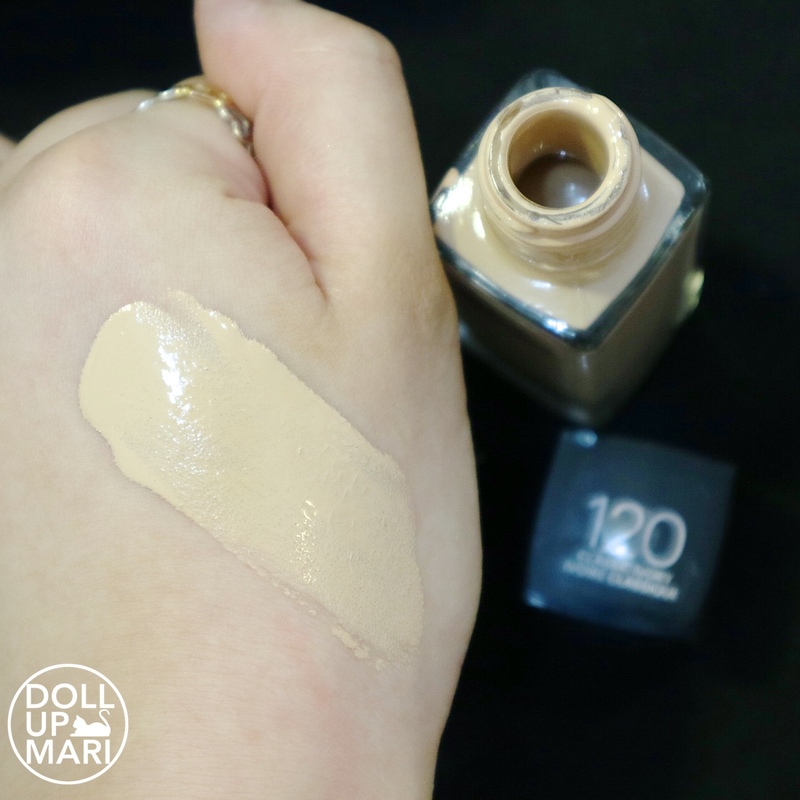 The lightest shade for the Philippine release is shade 120, so I also have a photo down there of 120 used on me. I feel that 112 is a bit too light and 120 is a bit too dark, so my ideal shade is mixing the two together. There is a shade 115, so that might be the key. 120 is a 85-90% match for me, but I am part of the marginalized as I am so pale. So 112 might be too pale for most people. I guess if they have a future release 115 might be a good idea as plenty of people use whitening treatments, alongside some darker shades in the collection. The US release now is up to shade 375 (deep ebony) while ours is up to 330 (deep morena), so it's not impossible that they will explore the in between shades if there is a demand. Before I do the official nitty gritty, I thought I'd talk a bit about the packaging. They stayed true to the US packaging so this is what you'll see in stores here in the Philippines. I guess they wanted to dispel a lot of misconceptions. Oftentimes, Pinoys will doubt whether it's the actual US formula if the packaging is changed. So yes, we will deal with this bottle in all its glory. This glass bottle is pretty and sooo IG worthy, but I won't lie that it could do its same awesome job in a tube. Or this same glass bottle, but with a pump or some sort of nozzle. Because when you open it, it's the product itself. There's no pump or anything. The thing that I am not comfy with is that the product is basically susceptible to the elements whenever you open it and touch the product, compared to when you're pumping the product. When you're pumping it, you basically aren't introducing any dirt onto the product. And then you also need to learn how to have self control. You can't just slap this or something because you'll spill out too much. It takes some time to get used to pouring just the right amount of product out. I know I'm so OC, but given that I'm like every other Filipino who hates being wasteful, matters like these count. Aaaand before the swatches and the whole shbam, lemme give my review! 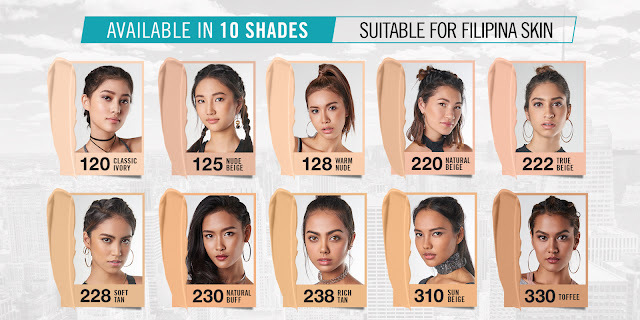 Shade Selection: The US release already has 32 shades, so I'm thankful that the Philippine release chose 10 landmark, representative shades most Pinays will need. I am soo pleased, because as you'll see below in this post, they have shades in the hues most commonly used by Pinays. Not only that, there is also a wide variation of undertones, and for the first time in a long time, there are plenty of offerings with pink undertones. 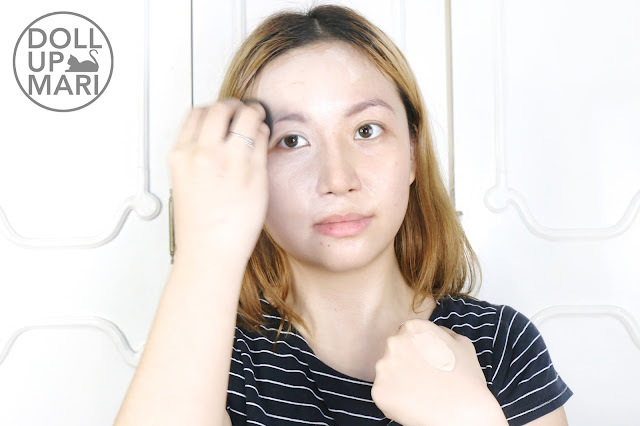 There have been a lot of yellow toned face products set for release in the Asian market, and the pinkish undertones have died out a bit in the past few years. I have a strong pinkish undertone, which is why I am soo happy that this collection explored pink undertones extensively. Given that there are yellowish, neutral, and pinkish undertones in this collection and that it comes in the most common skintones, I'm quite certain most Pinays will find their shade. Of course, there is always room for expansion, but given that this is not so mask like in coverage, this should do for now. Pigmentation: This has a medium level buildable coverage, but please take "medium" with my own explanation in mind. By default, this still feels a lot like skin. I have found it to cover most discolorations and dark under eye circles, but when it's blended in and set with powder, it feels natural and feels like skin, still. I have also found myself being able to mix this with tinted sunscreen for really sheer coverage for when I'm literally just doing groceries or banking. 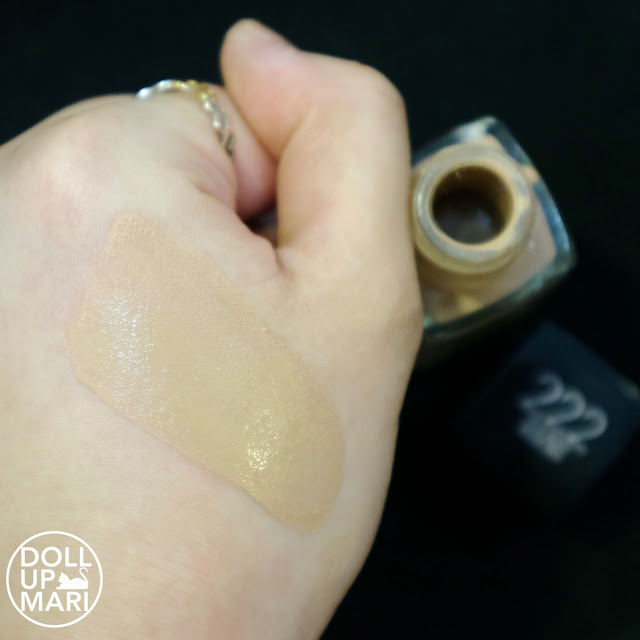 There are plenty of people who would already characterize this as high coverage as this does cover a lot, but to me it's medium because I want to relativize that compared to other more intense foundations out there today, this is still breathable and feels like skin. This can be applied thinly enough that it will suffice but not have a mask like effect. This is a very flexible foundation that plenty of people will like because you can mix it with skincare to apply it so sheerly, but at the same time, you can get away with applying two coats of this and your skin's texture will still feel OK.
Texture: This is among only 5 foundations that have passed my dream foundation standards, so I tell you that this is good. 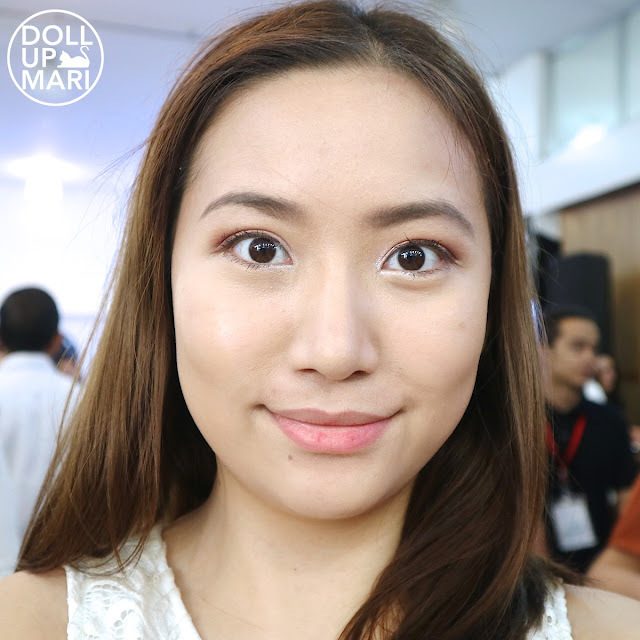 The ideal foundation to me is like a flexible liquid lipstick, but for the face. When you apply it, it should slowly set and mattify, but in this case, since it's the face, it should be fresh, soft, and flexible. It shouldn't move or budge, but it shouldn't cake up or powder up either. 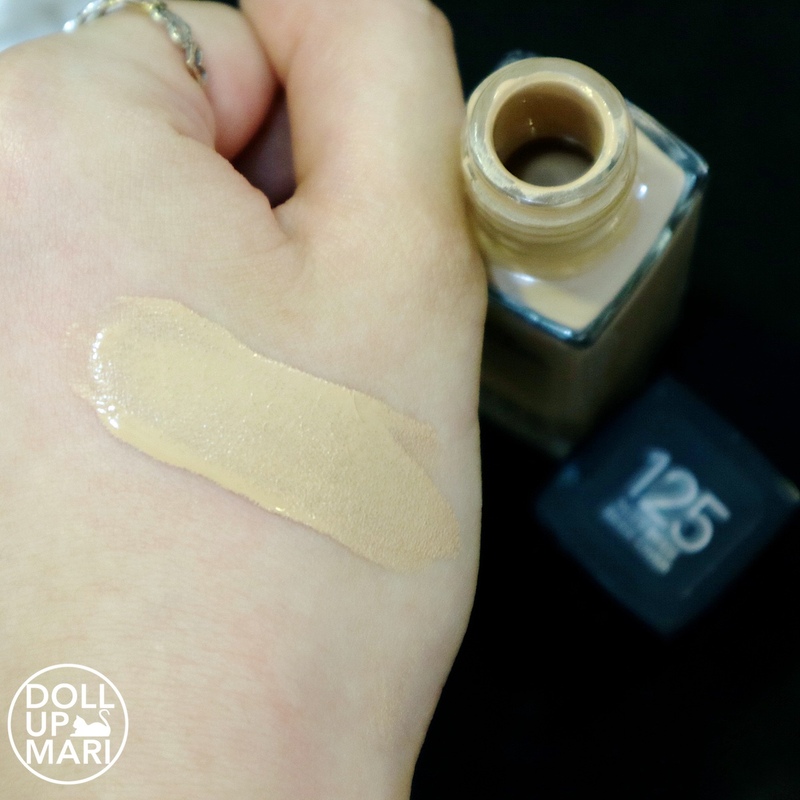 This is one of those foundations (the other 4 are MUFE HD, Maybelline's Defunct Super Mineral 24, L'Oréal Infallible Pro Matte, and Etude House Double Lasting) so this is super good. But perhaps to compare, this is lightweight that you will not feel the weight of how matte it actually looks. At the same time, this still looks fresh and a tiny little bit dewy just so it's not scarily powdery flat. 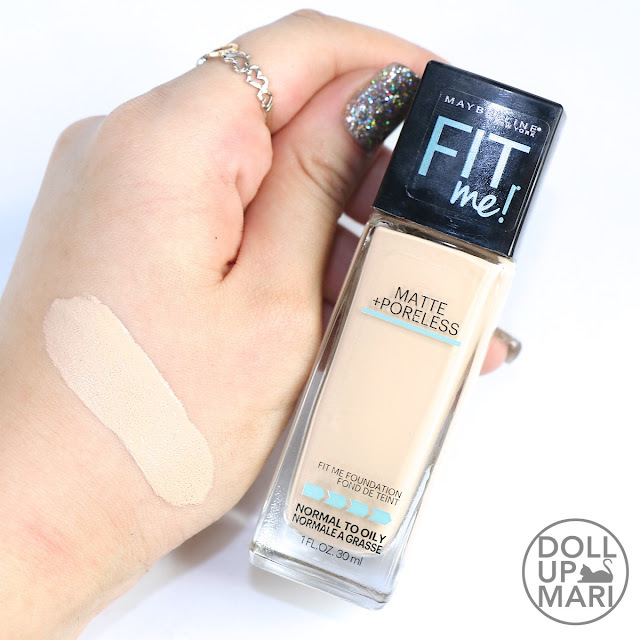 I feel that this has the same level of coverage and lightweight properties as MUFE HD, but a little bit more powdery and matte. 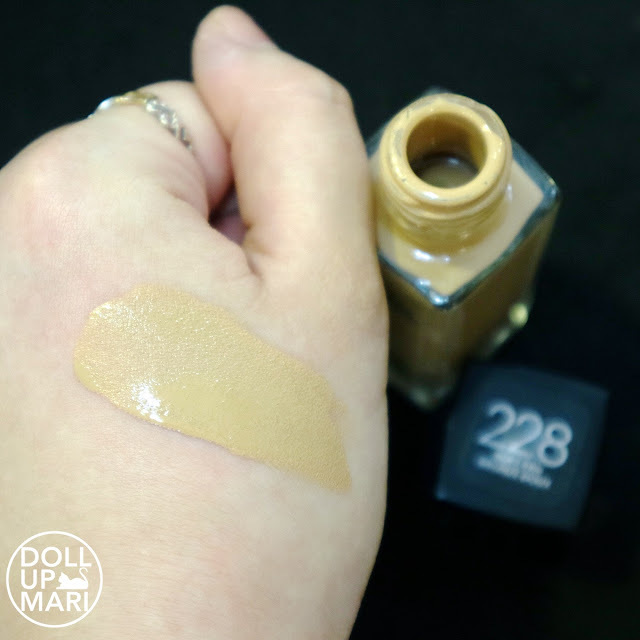 I still feel that the now phased out Super Mineral 24 is still the best Maybelline foundation of all time, but I'd say this is 90% as good as Super Mineral 24, so that should be good enough. 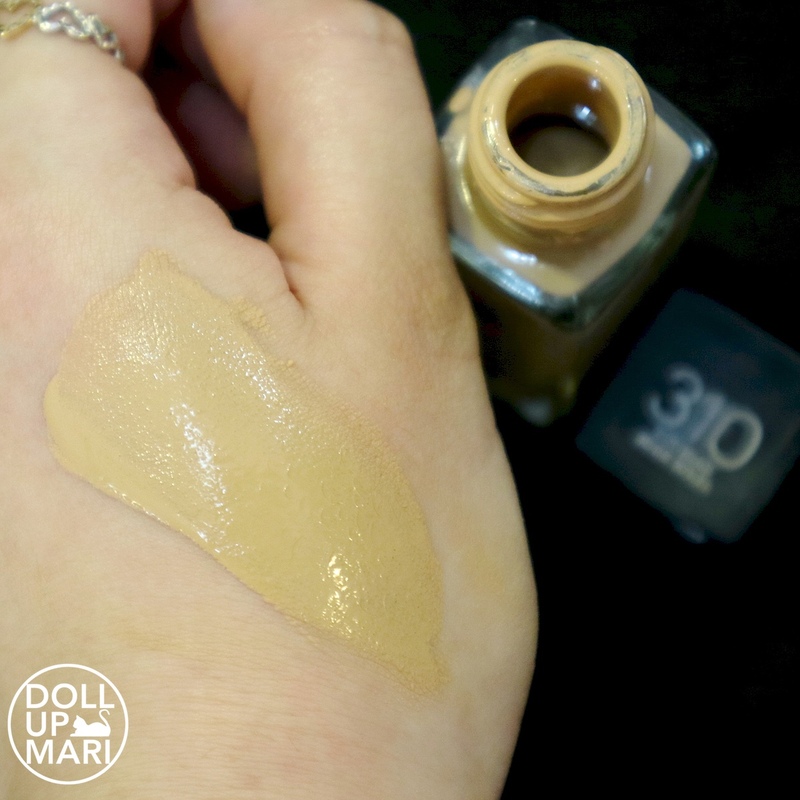 This, though, is a foundation that should be paired properly with powder. I have experienced caking with this one, but it is a result of choosing the wrong powder. My bad hehe. Since this is already powdery in itself, do not overdo it anymore by using even more mattifying and dehydrating powders. I have found that Ben Nye's Luxury Powders work exceptionally well with this, as well as Maybelline's Clear Smooth Powder. I would recommend staying away from HD powders with this product for best results. This also unfortunately cakes when I use it with COTY's Airspun powder, so that's also something to keep in mind. Comfort: I feel that a foundation is comfortable when I am not mentally troubled to keep on checking up on it. I get mentally troubled when it feels too heavy or gunky. Thus far, in the half year I've been using this, this feels comfortable. It feels soft and fresh enough that I have the confidence to use this on trips. Longevity and Oil Control: This can last the whole day in most conditions, but I feel that for the Philippine context, this lasts about 8-9 hours maximum. Since it applies thinly, it is not 100% hulas proof. You cannot expect to do extreme sports and sweat so much all day long with this product. And I guess you also can't do that with other foundations, not unless you're using extremely thick and waterproof foundation (which most likely is gonna come from a theater supplies company and is gonna look fake already). I have found myself retouching my powder every 3-4 hours when I have this product on in non air-conditioned areas. When I'm in an air conditioned area, I am able to not retouch so much. When I was in Hong Kong when it was cool, it stayed put and stayed strong against oil for periods of like 10 hours or more. While this is not the first foundation I'd think of for a very long day, this is still among the 'privileged crowd' that gets more attention from me than the others. I have used this for quite a good number of events already, and for parties and stuff. This has worked well thus far with the right kind of powder and the right kind of techniques. I think that this is balanced in the sense that this is matte enough to please most people with oily skin and still moist enough so as not to alienate people with dry skin and normal skin. After all, this range is targeted for people with normal to oily skin, so it can't be too matte that it already feels so weird and dry on people who do not have oily skin. I am in the extreme oily skin division, so if this has been working acceptably for me, it means it can please so many people in the same division. 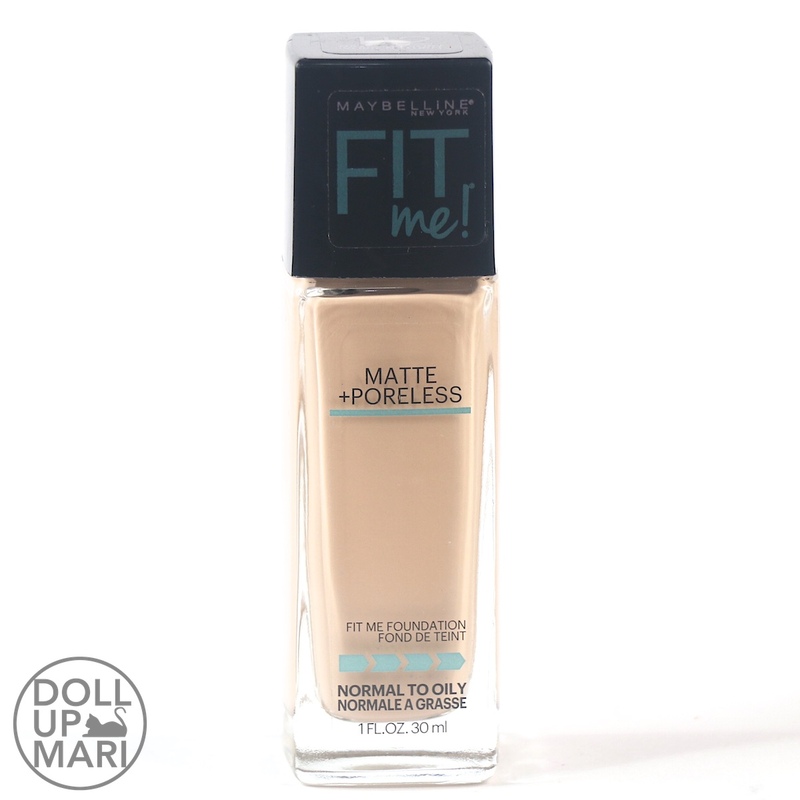 Value For Money: This retails for just Php399 for 30mL, which is even cheaper than other Maybelline foundations. This is cheaper than most of its competitors, so I really think that this is worth it. And this is exceptionally good, so it's not just randomly cheap. 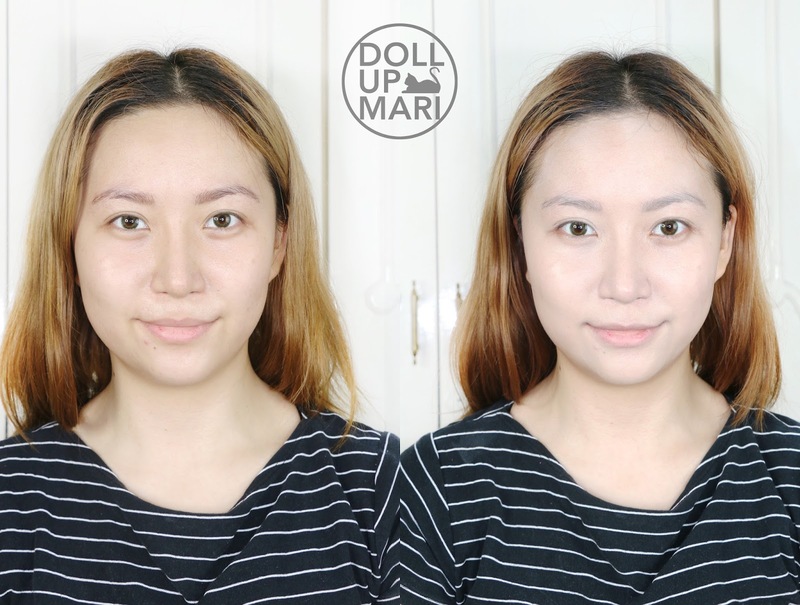 There's no use buying a super cheap foundation that works horribly. This is a balance of super affordable and super good. Overall Feedback: Like I said, this is among the most balanced foundations out there that I think has the ability to please a very wide range of consumers. It's got just the right kind of coverage so as to please foundation beginners and those who want a bit more of a plakado look. This also is the right mix of matte and moist to please most people with oily skin but not alienate those with dry skin. This also is lightweight enough for most people. To add, this does not oxidize much, if at all, so I don't expect to see a lot of frustration with people when choosing shades. This may not be the extreme solution for severely oily skin, but this is balanced enough to please most people. Wewww that was a lot of things to say! I hope that was detailed enough! Now, onto the swatch! 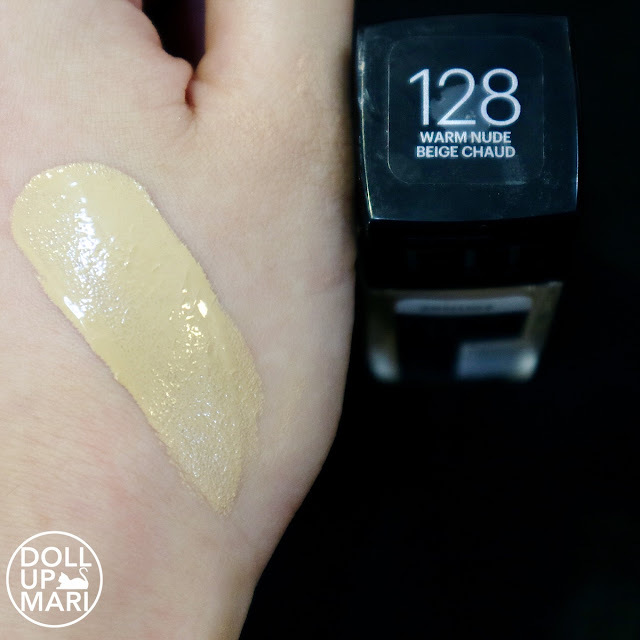 This is the swatch for shade 112 just so you guys could see it (and if you feel like this is your shade, be sure to make your voice heard on Maybelline's social media accounts so that they can consider bringing this in). So this is me while applying the foundation. This time I'm using a wet BeautyBlender to put it on. And this is the before and after. As you can see, this is slightly light on me, but in reality it's actually quite close already. And this is me last week (yeah see the hair change hahaha) using shade 120. On the photo it looks OK, but in real life it feels like it can be sliiiightly lighter coz it feels sliiiiightly dark on me. 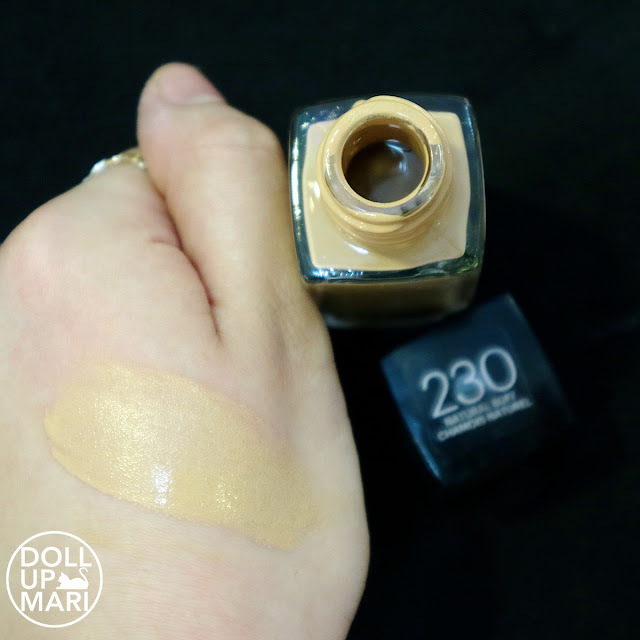 Thankfully, this doesn't oxidize strongly (if at all), so I had no issues about this shade being slightly darker than my actual skintone. It stayed as is the whole day (yeah I still got stuck in traffic for several hours and stuff so yeah this was on me for quite a long time). This is one of the official headshot collages released, featuring the girls of AsNTM. And these are my swatches of the foundation. The following are individual photos. But please note that since I did not take these in my studio, I can't guarantee 100% accuracy this time. To add, since shades pinkish undertones tend to not appear when not in the same photo as shades of yellowish undertones, you may see them in the following photos as not so pink even when they are. A light shade with light pinkish undertones. A shade slightly darker than 120, still with a pinkish undertone, but this time the undertone is a bit heavier. This leans more on the neutral to me, but I think it does have a slightly yellowish undertone. This is more or less the yellowish counterpart of 125. The 200's series is a jump by 1-2 shades than the 100 series. 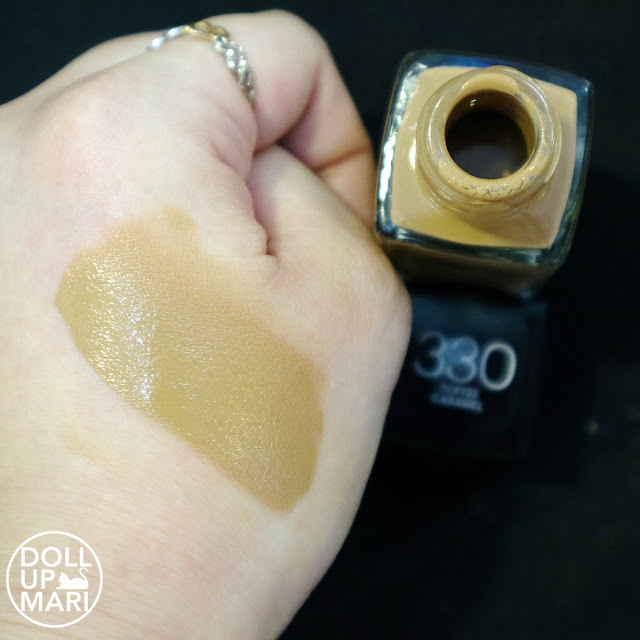 This shade has a mostly neutral undertone. A slightly deep shade with a strong pinkish undertone. The hue is still more or less like 228, and it still has a yellowish undertone, but to a milder degree. I think this is gonna be a good shade for plenty of Pinays as I feel like most Pinays have this kind of hue and a slightly yellowish undertone. This is more or less 1 step darker than the 220-series. This has slight yellowish undertone, but to me it leans more on the neutral. As the number implies, this is a jump from the 200 series. This has a slight pinkish undertone. This is the deepest shade in the Philippine release. This is more or less neutral, although I'm thinking that it can't be this deep without some reddish pigments. You can expect to see this in Maybelline counters near you, but online you can get first dibs from the Maybelline official store on lazada. Happy shopping guys!!! I hope you find your fit!!! Wow!! Nice review ganda.. gusto ko siya e try na product.. Finally, they are here. I'm so excited to purchase a bottle of this foundation. Thanks for sharing the swatches Ms. Mari it would be easier for us, I think mine is 128. Anyways, what makes me wanna buy this is the great reviews even before it came here in the Philippines, plus now your added reviews too. Definitely a hit again from Maybelline. yaaay i'm glad you've found your fit! enjoy!!! I found your blog yesterday and I'm already a fan! Thank you for sharing your review, Mari. This review made it easy for me when I bought my foundation awhile ago. Based on your remarks, I figured I'd be shade 228, and it was so spot on! Thanks again. Thanks for reading!!! Glad you got your shade! Great post! Love the swatching photos. Thank you for that! Cheers!